From conception and strategy, to design and implementation, Starrtek builds and hosts outstanding web-based systems for businesses. Deliver your web content quickly and efficiently to your customer&apos;s phone or hand-held device... instantly! It makes no sense any more to discuss what benefits online presence provides to your business. It is now about understanding the “competitive disadvantage” of not giving a customer an opportunity to search, compare and order online. Starrtek prides itself on helping businesses establish mobile access to functionality and data provided by their back-end software. 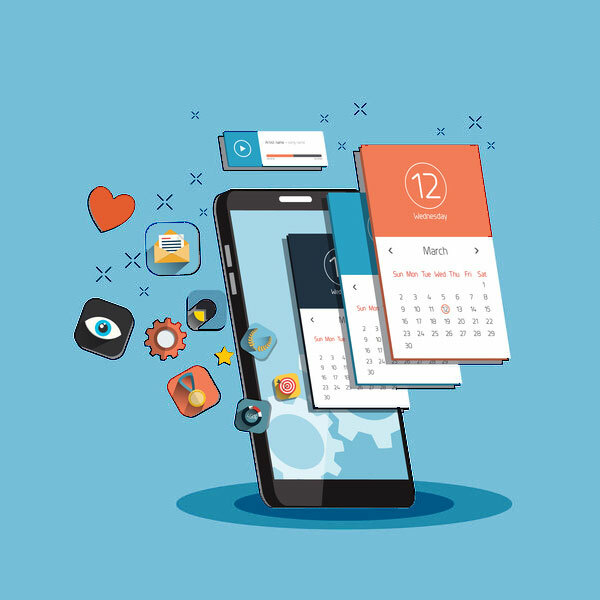 We deliver native mobile applications seamlessly connected to an online service, corporate business application or informational online resource. Generally, a mobile client is the continuation of an existing proven online service or a corporate business application. It is aimed at adding value by improving user experience and availability options. The objectives are clear - to create a competitive advantage for an eBusiness web application or increase field operations' efficiency for an enterprise mobility solution. To succeed in this model the developer has to be very agile in understanding business priorities and logic and, from the technology perspective, experienced in application integration and data interchange. The true advantage of mobile web is its natural cross platform compatibility. This significantly reduces costs for development of multiple mobile platforms on the mobile front end. Mobile web keeps all the benefits the web technology has compared to fat client-server architecture. Autonomous applications are native mobile applications that themselves encapsulate the main business logic and functionality. Apps may communicate with a web server to exchange portions of data or with an app store to get updates but the kernel functionality is executed right on the mobile device. Good examples of such apps are offline games, compact business apps, mobile gadgets and utilities, etc. Our experience in developing autonomous mobile applications allows for overcoming mobile development challenges such as screen resolution, hardware performance limitations and device diversity. I was in need of fast service in updating the web site and only after one email, the site got revised. Talk about great customer service!! We contracted with Starrtek in 2015 to develop an online interactive database used by party activists prior to the 2016 elections. Starrtek's bid was significantly lower then their competitors, and the product and performance were outstanding. Starrtek developed the core product for launch, and we continued working with them on two major enhancements over the following twelve months. Their developers and project leaders were always responsive to our requests - both during the development and testing phases, and following the launch of the program. Ultimately, the project was a success and played a key role in our successful 2016 elections. We plan to continue using the product for many years to come. Mary and her team offer professional web design and immediate feedback when we need advice or changes with our site. Friendly, patient and caring can best describe Starrtek! I enjoyed working with Starrtek on the development of our website. Mary did an exceptional job coordinating all of the details of the website development as well as following up to make sure everything was completed to my satisfaction. I would recommend them highly. Manager at Career Education Systems. Sat down for a consultation with a client and first thing out of her mouth was that is your website isn't it? It's beautiful, I love it. When we re-designed our website Mary took the time to meet with me and answer all of my questions. And then when it was time to launch the new website Starrtek had produced exactly what I had envisioned. Keith is fantastic to work with on an on-going basis. Any changes I need he makes that day or within a couple of days depending on what I need changed. They have been a pleasure to work with. I worked with Mary Moeller and Starrtek LLC in developing a website for our start up company. The design work they did was outstanding, very professional. From the initial meeting with Mary to the final design I have found Starrtek does excellent work at a very affordable price. I would highly recommend them to anyone. Starrtek has done a tremendous job making my site look just like I envisioned, awesome job matching my desire! © Starrtek LLC. All rights reserved.